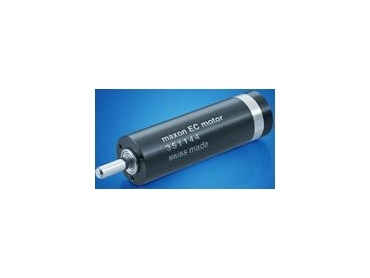 Maxon Motor Australia have launched EC 25 High Speed that is addition to their EC motors. The EC 25 High Speed motor has a small-sized 250 w drive and a friction-reduced or low-vibration optimised operation. Its rotor is equipped with pre-loaded ball bearings and a two-pole neodymium permanent magnet. In addition to low loss speed optimised windings, the EC 25 High Speed motor has accurate dynamic rotor balancing. The EC 25 High Speed motor features dimensions of Ø25 x 84mm and specific values (nominal torque 42.2 mNm, nominal speed 61 600 rpm, efficiency above 93%, speed/torque gradient 44.9 rpm/mNm), making it suitable for high speed spindle-driven applications, as required in medical technology (surgical power tools, and dental drills) or machines (manufacture of optical lenses and fabrication of printed circuit boards). For fast-rotating applications, a friction-reduced, low vibration operation over the entire speed range is of importance. This can be achieved with high-precision balancing and preloaded ball bearings.